Before training in HD Brows I bounced from job to job, never really staying in anything for longer than a year. In my 29 years I’ve so far been an Estate Agent, a Retail Assistant, a Recruitment Consultant, an Account Manager, a Customer Service Advisor… to name just a few! I later went on to work on a make up counter and trained as a Make Up Artist. After doing freelance make up for about 2 years, I decided to take the plunge in 2016. I wanted to train in a few beauty treatments so I’d be able to become my own boss. One of those treatments was HD Brows – needless to say it was the best move I have ever made. 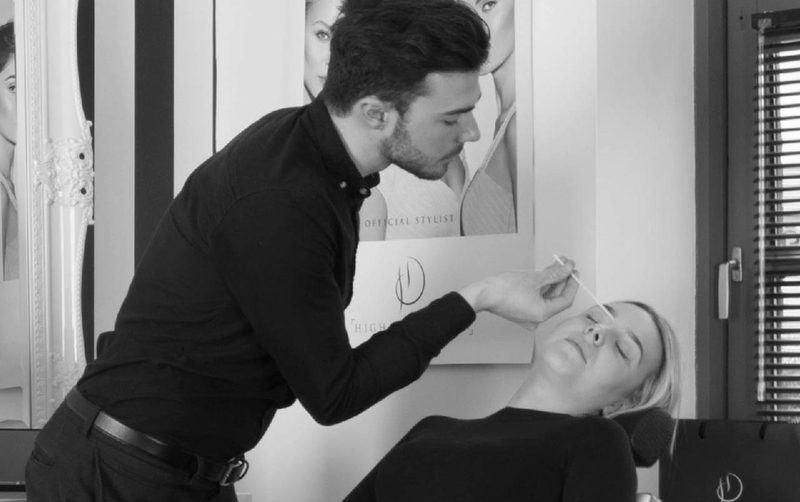 What made you choose to train in HD Brows and progress through advanced training? I pretty quickly established that HD was the right brow brand for me. The brand name speaks for itself and I wanted a slice of the HD pie! 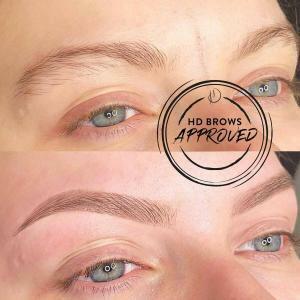 Alongside the other beauty treatments I trained in (lashes & nails), my HD Brows service just went from strength to strength. After 8 months at Stylist level, making the decision to advance to the Pro and Master courses was easy. I’d already come so far in such a short space of time, had so much support off everybody at HD and knew that undertaking the advanced training would only benefit my business further. I’m able to offer my clients even more and also to set myself apart in the small town that I’m based in, being one of only two Master Stylists in this area. How has the training impacted your career? The training has impacted my career immensely. 15 months after originally training I now run my own salon and know that wouldn’t be the case if I hadn’t trained with HD. 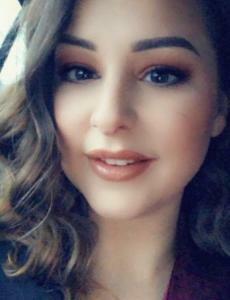 After being in business for only a few months, I found myself booked up for days on end with nothing else but HD Brows. The training I’d received from the guys at the HD Academy was second to none. I was able to take what I’d learnt to turn it into my most popular treatment. In fact, I became so busy doing just eyebrows that I stopped doing all other services and am now on average doing 15 sets of eyebrows 6 days a week; I love it! Never in my wildest dreams did I think I’d be successfully working for myself doing something that I love. I feel incredibly lucky. 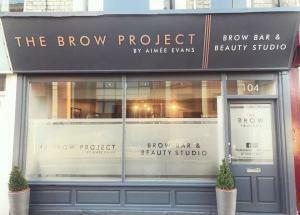 You’ve now got your own gorgeous salon, The Brow Project! Could you tell us a little more about your decision and how you found the process? 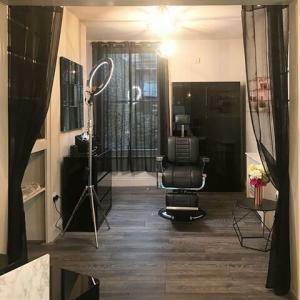 So the decision to open my own salon was incredibly scary. It was always my end goal to have somewhere to call my own but I’d only been in business for 10 months when I drove past an empty shop to let. I got that niggle in my stomach saying ‘go for it’ but didn’t know if I was jumping the gun. 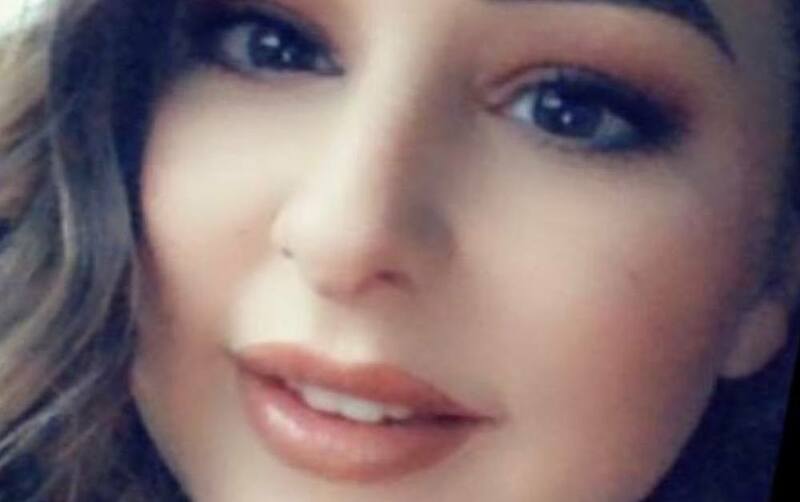 I’d already realised that there was nobody in my area specialising in just brows, which is what I was essentially doing. Working from a small beauty room in somebody else’s salon felt a little restrictive. 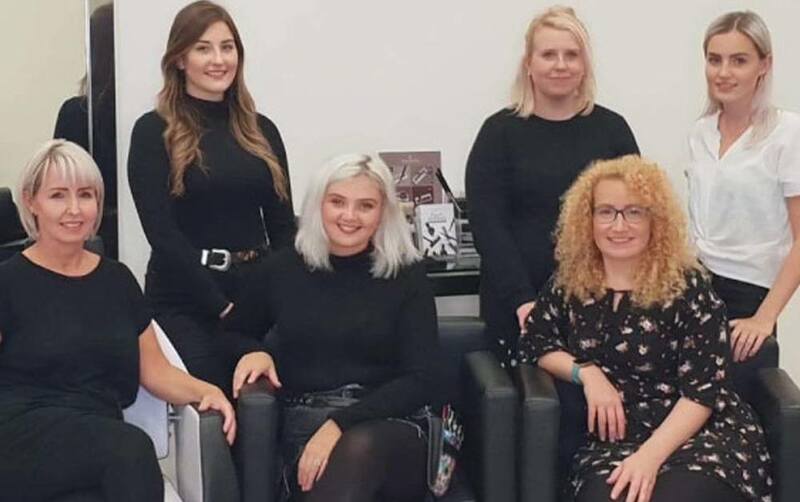 I knew I wasn’t going to grow my business in the way I wanted to from there, although the girls in the salon were incredible and helped me immensely when I started out. After chats with my husband and parents, I decided I wanted something bigger. I put an application in for the shop to let and the rest is history. In October 2017, The Brow Project opened its doors for the first time and has gone from strength to strength. I’m not going to lie, the process was so stressful and it has taken a lot of blood sweat and tears to get here but it has all been so worth it. I fully believe it’s the things you don’t do in life that you regret. If you’re willing to put in the hard work and have confidence in your ability then anything is possible. The only person who can stop you is you. You’ve come so far in just 15 months – what advice would you give to anyone looking to grow their own brow business? My advice to anybody wanting to grow their own brow business would be to use social media to it’s full potential. 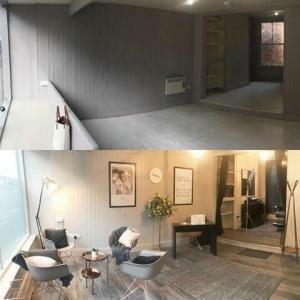 Good before and after photos – it only takes one to grab people’s attention and it can snowball from there. Offers are also great when starting up. My biggest one for my first 3 months in business was ‘recommend a friend’. Both the recommended and the recommender would receive 20% off one treatment. It was really popular! Word of mouth is just incredibly important and there is no better reward than client recommendations. I take the time to get to know my clients on a personal level, it’s not just a case of one in one out. My girls mean the world to me and it’s thanks to them I am where I am. Take care of them and they’ll take care of you! Before & after photos are a great marketing tool and yours always look fabulous! Any top tips for brow photography? The two main things I focus on when I’m taking photographs of my clients brows are lighting & angle! I have two ring lights, one set up either side of my client. They create such a pretty effect in the clients eyes when they are open. They also ensure that you can see just how flawless the finished product is. It enables you to see all your crisp Pro Pencil strokes and really sets off the Brow Highlighter when you use it. In regards to angle, I stand on the side where I carried out the treatment. I hold my phone at a 45 degree angle at the side of the clients face. A good before and after app is also a must have! There are loads out there so do some research and find which one works for you. I’m incredibly grateful to have come so far in such a short space of time. Hard work really does pay off. Find a gap in the market, grab it with both hands and run with it. Believe in yourself and dare to dream big!